"Big Picture" thinker with local perspective and entrepreneurial drive. Charted strategic direction, planned business initiatives, and designed organizational sales solutions transforming operations and driving revenues for North American market leaders. Funeral operations authority, motivational speaker, and consultant within industry. Delivered hundreds of public and investor presentations to groups, national industry audiences, and Boards of Directors. Successful in driving growth and profitability in the deathcare industry. Exponentially drove combined annual sales revenue to $54MM. Designed special pricing initiative for multiple-product line order that resulted in year-to-year growth of 6%. Conceived and launched new products and services, transforming the deathcare industry in North America. Revolutionized casket industry product and program marketing to funeral directors, by creating an industry-first for funeral service in North America, the ‘Honoring Lives Tour’. Inspiration behind the prototype and launch of the “Veterans Vault” series, coinciding with dedication of the WW II Veterans Memorial fundraising campaign, culminating with a breakfast at the White House. As a privately held company the president is the designated leader who is responsible for the overall growth and long-term expansion of the enterprise. All major issues, strategic planning and company policies are handled by the person in this role. Reporting to the Board of Directors this position has overall strategic and operational responsibility for the NCFDA’s staff, programs, expansion and execution of its mission. The person will ensure ongoing program excellence and provide timelines for strategic goals and growth set by the board and be given the necessary resources to achieve them. Brought in to stabilize the day to day office processes and lead the effort to restore confidence in the state association. To create and lead new programs for its members. A privately held company operating in the Mahoning Valley in Northeast Ohio. Its ownership consists of funeral homes, crematory, expansive ambulance service and several law offices specializing in Eldercare Law. The 8 funeral home locations currently serve 1,000 client families and the ambulance locations handle 20,000 medical and transfer calls annually. Responsible for daily operations of the funeral home, crematory and preened operations for the division. Assist President /CEO and management group with strategic plan to expand business further in the Valley area. Responsible for all aspects of day to day death care operations including full P&L responsibilities. Establish annual budgeting process, expand tracking and analyzing total call data. Identify and develop personnel including selecting of candidates for management. Evaluate and negotiate potential area acquisitions. Funeral home specialty supply firm selling Executor Process Kits to funeral homes and cemeteries in Canada and the USA.Funeral home specialty supply firm selling Executor Process Kits to funeral homes and cemeteries in Canada and the USA. Challenged to identify and open new sales channels. Advised company in development of strategic plan to expand business further into the USA through acquisition of large clients. Broadened the company’s footprint in the USA by landing influential Key regional accounts and initiating the process of securing a consolidator client with over 1,200 locations in North America. Wrote a detailed business plan for a new division of the company and spearheaded efforts to engage multi-million dollar companies as part of the program. 2008 - 2009 Evergreen Services LLC, Cleveland TN. A privately funded deathcare company specializing and operating in secondary markets through its ownership of funeral homes, cemeteries, and crematories. Company provided funeral home owners with exit strategies for retirement; and identified and developed new, progressive managers. Directed company’s growth strategy through organic and acquisition dynamics, collaborating with Board of Directors. Identified, evaluated, and negotiated potential acquisitions. Responsible for P&L. Initiated best practices compliance in all operational areas including tracking and analyzing financial data. 2006 - 2008 Legacy Management Accounting Services, Inc., Tampa, FL. Oversight direction for day-to-day operation of all departments including customer programs. Spearheaded innovative initiatives; advanced sales and profits and expanded operations. Developed best practice methods of tracking and analyzing real-time data for funeral home locations, and merchandise sales and cost structure. Conceived and produced new program modules for clients based on needs and market potential. Sourced, sold the program, and secured two new large acquisitions. 2004 - 2006 Batesville Casket Company (Parent Company: Hillenbrand Industries), Batesville, IN. A $2 billion Fortune 500 company, Batesville Casket is the world’s largest casket manufacturing company. Directed public relations, operations, presentations, and logistics for 1,200+ customer experience trips/factory tours annually, to the Headquarters facility. Administered a million dollar budget; supervised a staff of 7 associates managing a matrix calendar and logistics schedule. Company spokesperson at mid-level meetings. Conceived the vision and launched innovative “staging” facility, ‘Honoring Lives Tour’, an industry first for funeral service in North America. 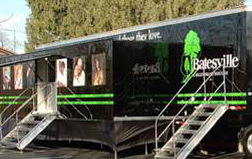 Two mobile tour center tractor-trailer units visited over 100 cities hosting 7,000+ funeral directors, delivering a 2-hour presentation & tour, in 36 months. The Tour concept won third place in an international B2B mobile marketing competition amongst 500 entries globally. Conducted due diligence, sought out, and identified new customer bases; supported marketing efforts for strategic markets including African American funeral home groups. 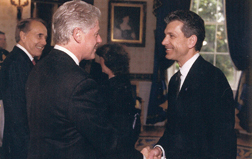 1995 - 2003 Wilbert Funeral Services, Inc. Chicago, IL. World’s largest provider of burial and urn vaults, operating from 175 locations in North America; $54MM in revenue. Orchestrated all company marketing functions including design of 3-year strategic framework and annual operating plans. Led all marketing efforts and supervised 10 direct-report managers (National, New Products, Cremation Services, Convention & Trade Shows, and Director of Executive Sales Programs). Launched the “Veterans Vault” series. 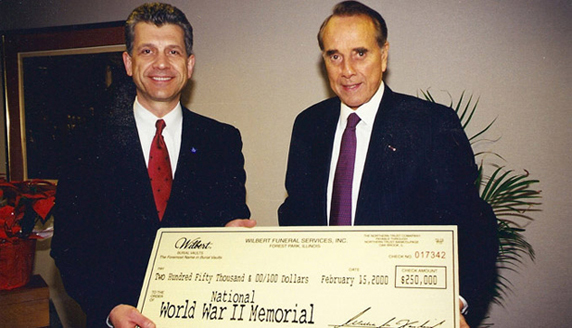 Negotiated exclusive Federal Government ABMC contract for a cause related marketing campaign and industry donor for construction of the World War II Memorial. Realigned marketing and sales program; built company’s reputation and credibility, propelling company’s sales by 40% over 7-years, boosting revenue from $37MM to $52MM, despite market downturn. Spearheaded publication of a quarterly corporate newsletter, spurring inspiration for the industry’s future. Initiated formal customer training program. Demand resulted in over-subscribed classes at company HQs. Introduced specialized training programs, focusing on the top 5 customers in the country, and improved working relationships with corporate officers, increasing revenues by 8% (Wilbert Consolidators Program). This $200MM publicly held company is Canada’s largest funeral home and cemetery operator. Oversight management of 16 funeral homes (5,200 deaths annually) and 120 employees. Developed special pricing incentive for multiple-product line order generating year-to-year growth of 6% annually over a 5-year period; delivered $54MM in combined annual revenues to the company. Designed a unique “after-care” program resulting in increased customer ratings. Authored a professional mini-course for Funeral Planning Counselors. Began professional career at Forsberg Funeral Home in 1975. Completed education while employed during the years. Purchased, revitalized, and operated 5 funeral homes in 2 provinces. Grew revenues to $2.5MM. Repositioned funeral homes as market leaders and pre-eminent client focused operations, escalating market share by 15% in 10 years. Built reputation and loyalty for personalized and unique funeral concepts of memoralization.